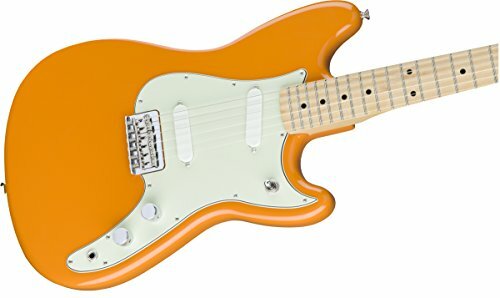 What Is the Fender Duo-Sonic HS? Who Is This Guitar Designed For? 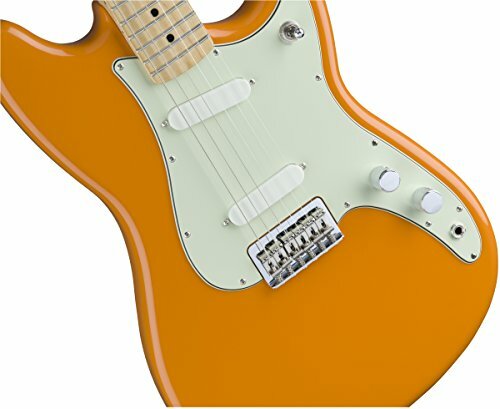 What’s Included With the Fender Duo-Sonic HS? 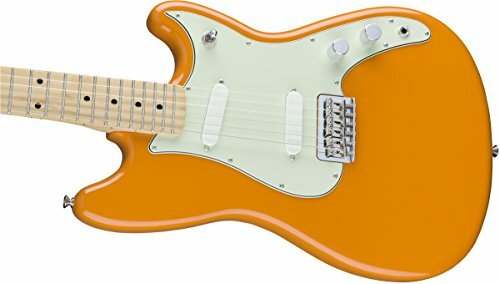 Conclusion – Should You Buy the Fender Duo-Sonic HS? 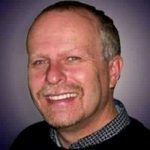 What Is The Best Bass Guitar For Church Worship? Fender has long been known for producing incredible guitars that are easy to use and offer clear and powerful sound. The Fender Duo-Sonic HS is a popular guitar that will offer you all of the control and versatility that you need in your church worship team. This powerful Fender guitar is perfect for playing in your church band and offers all of the power that you will need for everyone to clearly hear each note you play. It’s a modern version of a guitar that was originally made for students in 1956 and then turned into a classic guitar that is loved by people all over the world. Even though it has a compact body, this guitar offers an incredible sound that is sure to blow everyone away, which makes it great for being the star in a praise band or on Sunday morning. While there is a newer model of this guitar available, many people prefer this model due to how easy it is to use, its classic shape and design, as well as the clear sound that you can coax from this guitar. If you are in the market for a guitar that doesn’t just look great, but also sounds clear and has a tone that will carry above the rest of your music, then this is a great option for you. While all Fender guitars are investments, this option is no more expensive than some of the other great guitars on the market, and thanks to the Fender name, you can rest assured that it will last for a long time without showing signs of wear and tear. This is not an ideal guitar if you have larger hands, as it does have a shorter scale. It’s sized perfectly for musicians who have slightly smaller hands and won’t struggle to make clear chords. If you need a guitar for a member of your church band who is younger, petite, or simply has smaller hands, then this is a great option to consider, as it will be easier for them to control and hold due to its size as well as its proportions. Even though it is slightly smaller in the body and in the neck, this guitar is still very solid and has a nice weight to it. When you order this guitar, it will come already strung so that you can start playing right away, but it doesn’t have any other items in the box with it. This means that if you don’t already own an amp that you can use to connect with your guitar, you will need to buy a new one right away so that you can begin broadcasting your music. Otherwise, you won’t be able to hear what you are playing as easily. Additionally, this guitar doesn’t ship with either a case or a gig bag. It’s important that you buy something right away so that you can keep your guitar protected when it is not in use or in the car. 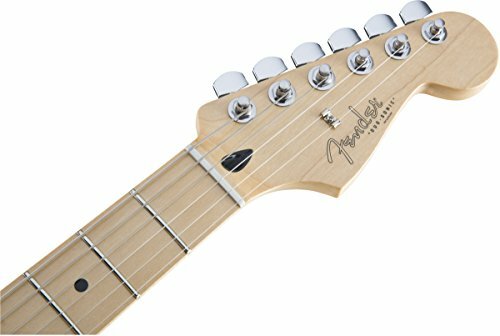 Because you will want to walk around when playing guitar, you’ll also want to invest in a neck strap, as this Fender doesn’t ship with one. Another place where this guitar really shines is in that it has a coil split. What this does is expand the tonal possibilities of the guitar so that you can push it to meet your needs. The included factory strings are great for getting started, but if you really want to enjoy the best possible sound from your new guitar, then you will want to change them for updated strings. One problem that many musicians find when using this guitar is that when the guitar is plugged in, you can create a lot of static that is broadcast through the amp when you rub your fingers on the pickguard. This can be very frustrating during a song. One great alternative to consider if you aren’t sure that this Fender is the right choice for you is the Fender Mustang Short Scale Offset Electric Guitar. The body shape is very similar, and the size of the guitar makes it play in the same way, but there are a few benefits that you’ll enjoy when you opt for this Fender instead. One major benefit that you will find is that the pickguard doesn’t produce the same static sound when you rub it and the guitar is plugged in. Another benefit that this guitar offers players is that, due to its size, shorter frets, and low action, it’s an incredibly agile guitar that is fast and easy to play. 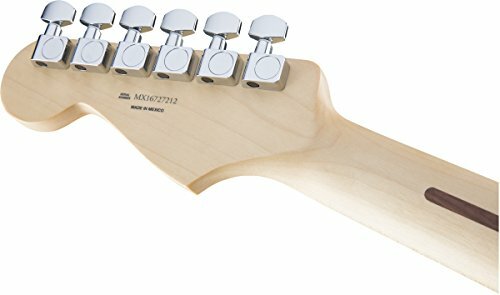 If you are worried about having a bag and a strap when you buy your new guitar, then consider the Fender Standard Stratocaster HSS Electric Guitar. It offers the same playability and control over volume, but it comes with a gig bag as well as a neck strap. This means that you don’t have to purchase additional items at a later time, and you can get up on stage with the church band right away. As you can see, there are a number of benefits that you’ll enjoy when you purchase this Fender to play in your church band. It’s a very powerful guitar that is easy to control, offers incredible sound, and will help form the backbone of your band, but there are a few things to think about before you order. If you are on a budget, then you may be frustrated that you have to order an additional bag and strap, as this guitar doesn’t ship with them. Also take into consideration the hand size of the person who will be playing the guitar, as well as how concerned you are about static feedback when the guitar is plugged in and the pickguard is touched. Does YOUR Church Sing Contemporary, Southern Gospel, Orchestra Worship Music? DISCOVER What Is The Best Bass Guitar For Church Worship At YOUR Church! Do YOU Want To Find That Perfect Guitar Tone For Church Worship? DISCOVER How To Set Up A Great Sounding Worship Pedalboard TODAY!